Srinagar: Zameer (name changed) lies on a bed in Lal Ded Maternity Hospital’s general ward. She is not in the state to narrate her ordeal to strangers, but opens up to Rashid Wangnoo, a man from Kangan who first approached her. On November 20, Zameer was out in the open when pain hit her hard. In an under-construction building, alone, she delivered a baby boy in a standing position, with no one to take care of her, or the baby. While the baby is dead, the woman continues to suffer abandonment by her family, acquaintances and the society. Belonging to a broken family, with her “drunkard father”, step-mother and indifferent siblings, her story points to the layers of problems Kashmiri society is dealing with. Zameer is suffering from behavioural issues, and when she was abandoned, she found solace and acceptance at a shrine in Srinagar. Little did she know, that beasts in human skin would take advantage of her. 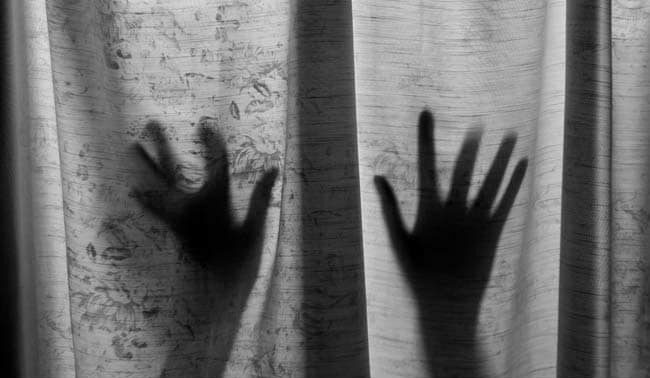 She was allegedly gang-raped, which left her pregnant. Members of Kashmir Women’s Collective (KWC), One Stop Centre for Women (OSC) who have been taking care of Zameer, share her ordeal. “She told me that her father had once tried to poison her. He never had tried to locate her while she was gone,” says Mantasha Binti Rashid, KWC founding member and gender activist, adding that the family had asked her to live in a cattle shed near their home. With her family neglected her, one family of Abdul Hameed in Kulan, Kangan used to host her as they thought she had spiritual powers. “Hameed’s family would happily let her in. They would take the money people would give her,” says Mantasha. Zameer would often sit on stairs of Makhdoom Sahab shrine. Young boys would come to tease her. When two among the boys had gotten to know that she is alone despite having a family, they raped her somewhere while she was coming back from the Shrine, near Malkhah, KWC says. “She won’t be able to recognise the boys. She knows she was raped and says it was dark when she was coming back from Malkhah and two boys had raped her,” says Mantasha. “I didn’t ask her questions as she would be traumatised. However, she said to me: My baby boy died. It had a head full of hair,” she adds. Soon, the pregnancy symptoms had developed. With her belly enlarged, after around 4 months of the pregnancy, she had left home. No one had come to check on her. No reports were filed in the police station. “When she had visited Hameed’s family in Kangan, all of a sudden she was impure for them and they had abandoned her. They did not bother to take her to the hospital or inform the police,” says Mantasha adding, her labour pains were increasing by that time. Zameer had no other option than to ask strangers for help. One man had taken her to an under construction house in Kangan, given her a Kangri (firepot) and a blanket. She delivered the baby in a standing position, all by herself, and fell unconscious. “She was drenched in her blood by morning. When the villagers had seen her, they made a hue and cry,” says Mantasha. Among the villagers, Rashid Wangnoo along with his wife had helped her wash off, took care of her and took her to to the Public Health Center. “In the PHC, Dr Bahar was uncooperative,” says Mantasha. Meanwhile, stray dogs had reached the baby. “We got in touch with Rashid Wangnoo and took her to the hospital. We approached One Stop Centre for Women (OSC) and they also helped her,” says Mantasha. OSC and KWC took her to the hospital and called her family. According to KWC, the family did not want any police action or the news to spread. “No FIR had been filed so far. However, SHO Kangan had reported it,” say KWC members. At present, KWC and OSC members are taking turns and staying with her in the hospital. “We call her sister and she comes to stay for the night. She does not really seem to be concerned. So, we are trying to make new arrangements for her, says a member of the KWC. “We need a woman nurse for her for at least 7-10 days, especially during nights. In the day we all are around but mostly for nights. The lady will be paid and has to be with the victim in Rajbagh. Please drop us a message if anyone can help but please confirm first, we don’t want to waste time and energy of anyone,” KWC writes in a post on Facebook.